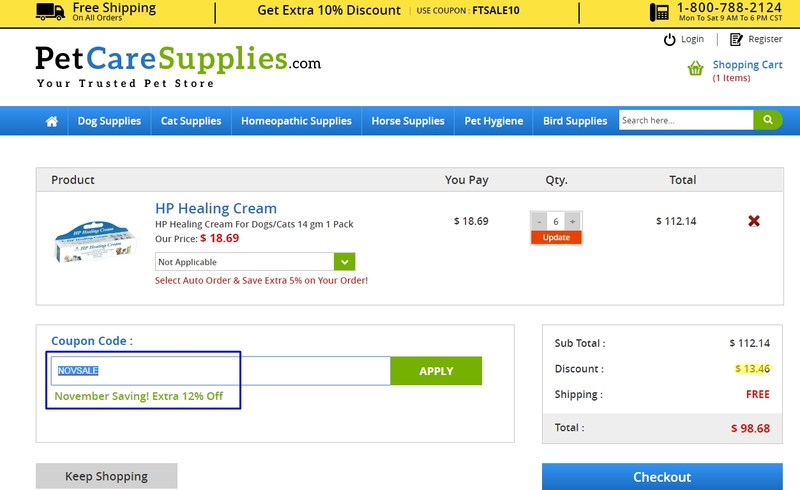 Gabriela Fern I am validating this deal, it works as describe, just go to Pet Care Supplies, choose your product, proceed to checkout, place the code and apply, enjoy 12% Off your purchase. 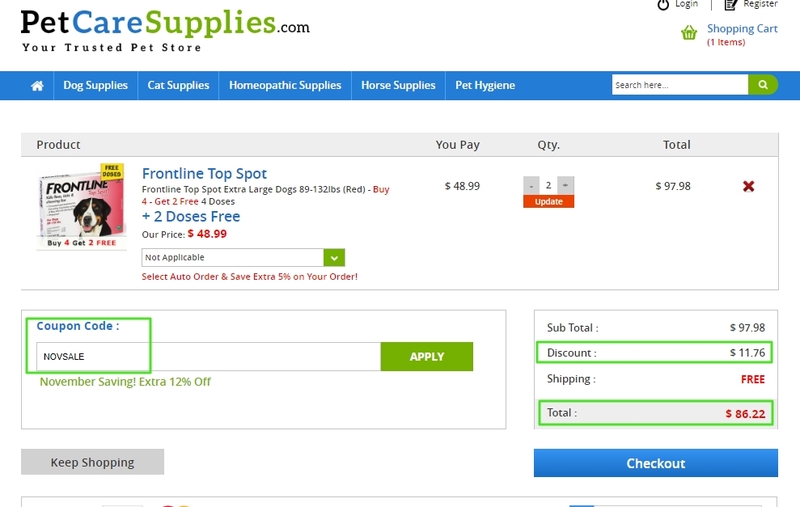 Ronald Mata This promotional code works perfectly. 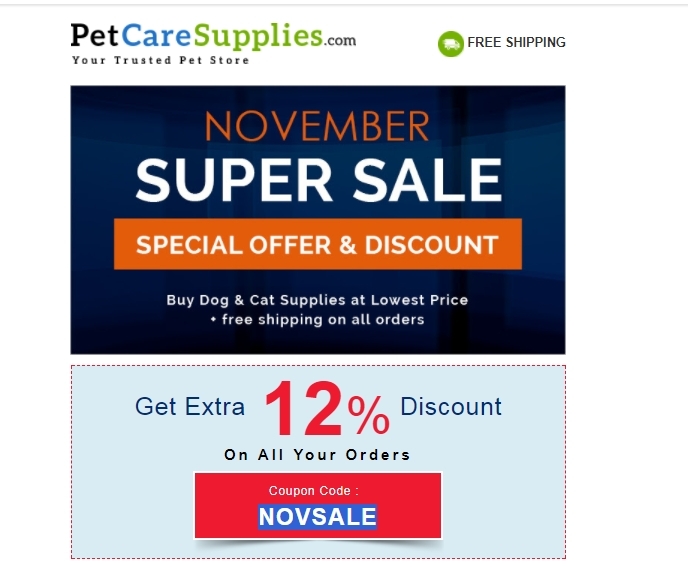 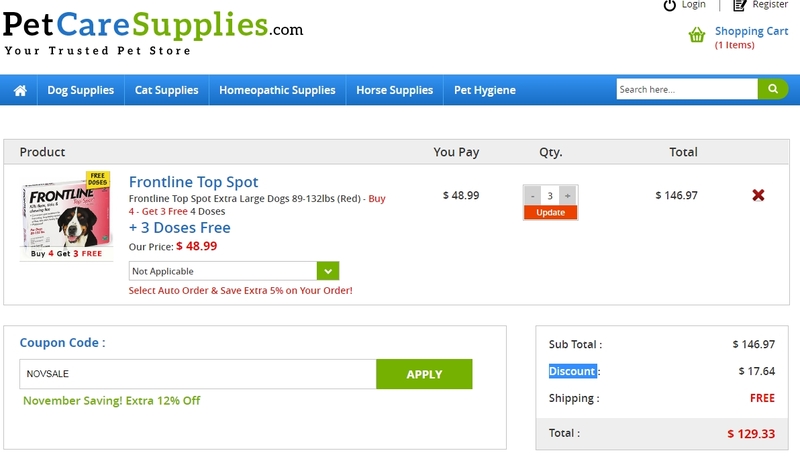 Put the item in your cart, and apply your code in the box to get the discount 12% off all orders at Pet Care Supplies. 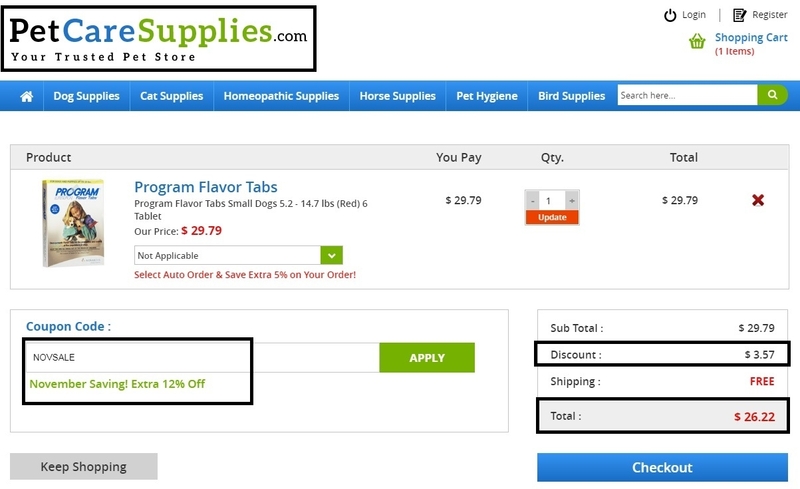 Lily Must use coupon NOVSALE at checkout to receive discount. 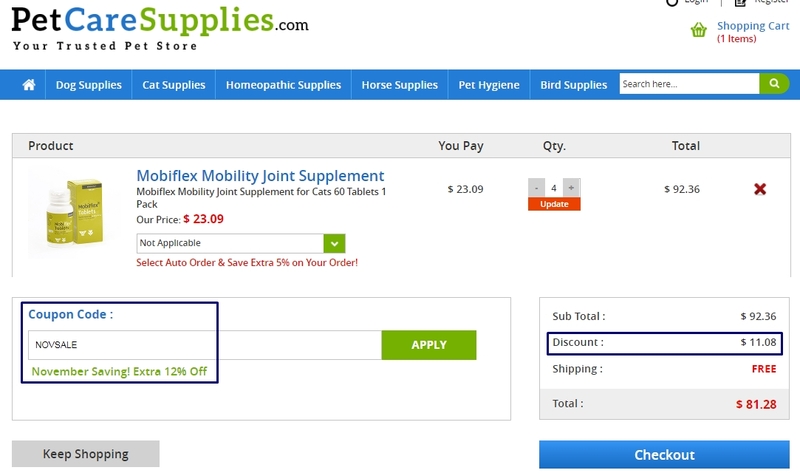 May not be redeemed for cash or combined with other offers.